There’s always something new to play with when it comes to fashion! I’m not particularly fond of color at this point in my style journey, so I’m exploring a new neutral…metallics. What an amazing layer of richness it adds to an outfit! 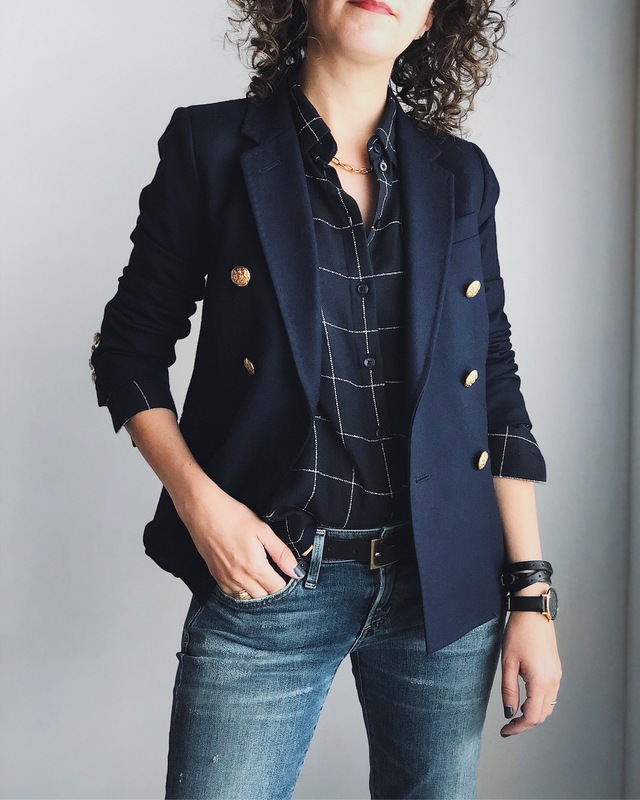 I started by adding a silvery camisole to my closet as a cheap & easy piece to play with, then added this statement blazer after discovering I really liked the vibe. Give it a try!